Gold demand slips ... but not for long? The weak global economy took a toll on demand for gold in the third quarter, according to an industry report released Thursday. The World Gold Council said demand for the precious metal fell 11% in the three months ended Sept. 30, down from record high levels in the same period a year ago. The decline was driven by a sluggish market for gold bars and coins in the United States and Europe. The third quarter was marked by "subdued activity" across global financial markets due to "a combination of summer doldrums and a general sense of uncertainty among investors," the report states. The council said gold demand in China continued to weaken as growth in the world's second largest economy has sputtered. But in India, one of the largest markets for gold jewelry, demand rebounded in the quarter. But the drop in third-quarter gold demand was "anomalous" and mainly reflects the comparison with last year's record levels, the council says. The price of gold averaged $1,652 in the third quarter, compared with an average price of $1702 in the third quarter of 2011. Gold is back above last year's levels though. It was trading Thursday at about $1710 an ounce. While investors were reluctant to stockpile more bars and coins, many were willing to buy up shares of gold-backed exchange traded funds. In the third quarter, demand for gold ETFs was the strongest it's been since the second quarter of 2010, according to the council. 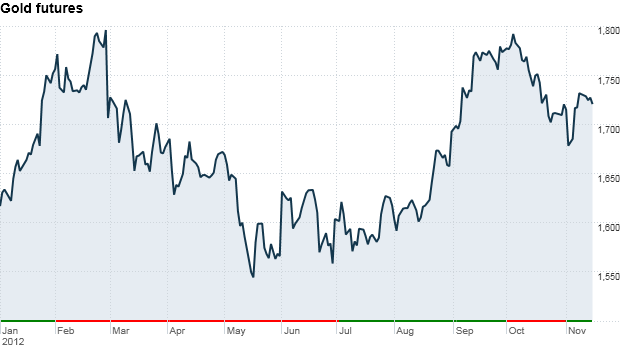 The SPDR Gold Shares Trust (GLD), one of the largest ETFs focused on gold, has gained nearly 10% so far this year. Looking ahead, the council expects gold demand to rebound in the near term as investors respond to central bank policies around the world and activity in India and China recovers, according to Marcus Grubb, a managing director at the World Gold Council. Grubb said the steady increase in demand over the past five years, the continued popularity of gold-backed ETFs, and purchases by central banks suggest that gold remains the preferred "vehicle for capital preservation" for long-term investors. 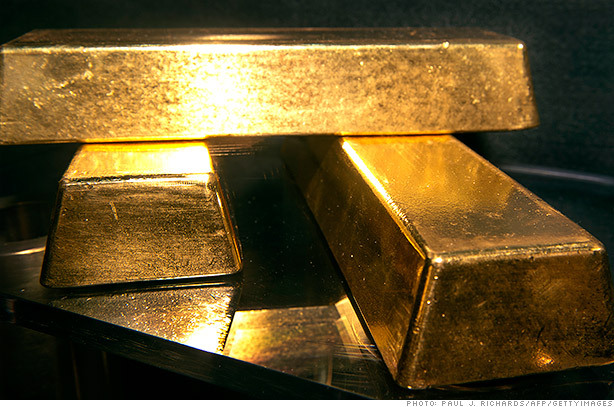 "Gold is beginning to re-establish itself as part of the fabric of the financial system," he said in a statement.